There has been very little activity on the sun to speak of. Average solar flux this week was about the same as last, up by less than 6 points. Average sunspot numbers declined a little over 10 points. The prediction for the near term is absolutely flat, with solar flux at 140 for the next week. This is a little too far out to predict with great accuracy, but the projected solar flux is expected to go below 140 around July 9-12. All of this is far below the information from last week, which indicated a rise to 170 by the end of June, which is in the next few days. Now there is no activity to indicate that this will happen. There is a possibility of an eruption from sunspot 8, but it is not directly facing earth and will continue to rotate away from us. You may have noticed that the latest sunspots all have low numbers. Each emerging region of activity on the sun is assigned a number, but they only go to 9999. Now we're not speaking of the daily Sunspot Number, which is based on a count of the currently visible spots, but a numbering of the sunspot regions so one can be described and talked about and differentiated from any other spot. On June 14, 2002 the sunspot region after 9999 was numbered, and it was number 10,000, assigned 0000. The next one was 0001, but most reports will ignore the leading zeros. Sunspot region 2 emerged on June 15. You can see the new numbered spots by looking at the image on the solar disk at the NASA Space Weather Bureau page at http://spaceweather.com. I have no idea why a government entity would be a dot-com, but perhaps I missed something. I doubt if NASA has been privatized, but perhaps they thought that dot-com sounded more familiar and easy to remember. You can see a description of the daily Sunspot Number and how it is derived at, http://www.ips.gov.au/background/richard/ssn.def.html. Take a look at http://www.sec.noaa.gov/weekly/pdf/prf1399.pdf for the Preliminary Report and Forecast of Solar Geophysical Data, which has a note about the numbering on page one. This is a great publication by NOAA Space Environment Center that used to arrive via postal mail, and is now available for free in PDF on the web at, http://www.sec.noaa.gov/weekly/index.html. The item in last week's bulletin mentioning propagation software brought news of a new program. Richard Buckner, who is not a ham (actually he is ex-WN5VYK, a Novice call sign he held long ago) worked for Continental Electronics and then Collins Radio in Dallas (along with his wife Sue) for many years. They developed high power HF and VLF transmitters, and he was also concerned with propagation software for operators of this equipment. Now in retirement he and his wife and two programmers have spent the last 16 months developing ACE-HF, which uses VOACAP as a computational engine but adds some wonderful animated graphs to express many variables, including required power gain, signal-to-noise ratio and reliability. You can see details at http://www.acehf.com. Joe Ahlgren, the author of GeoClock is a partner in developing ACE-HF and he also worked on VLF software for Collins. 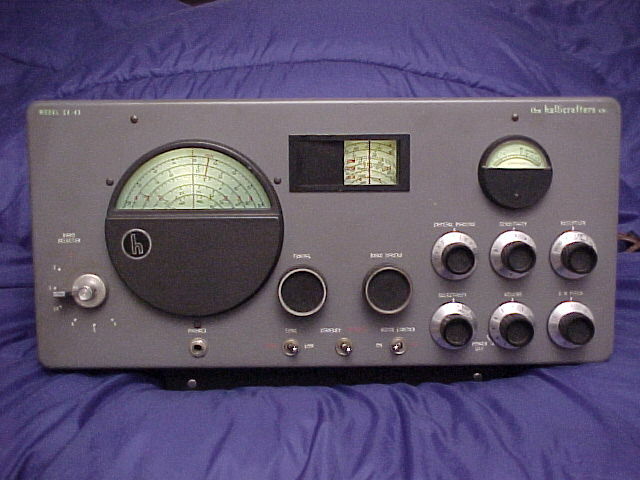 ACE-HF has many features that these folks originally built into the military versions of propagation programs they worked on in their professional careers. Richard is excited about this software, and his work on it has renewed his interest in HF communications and amateur radio. He told me he still has his original Hallicrafters SX-43 from his Novice days, and I suspect he will be getting re-licensed and back on the air very soon. ARRL headquarters will be closed next Thursday and Friday, so this bulletin may not appear next week. If it does, it will probably be a short bulletin issued early in the week. Sunspot numbers for June 20 through 26 were 122, 113, 102, 144, 133, 127 and 102, with a mean of 120.4. 10.7 cm flux was 145.1, 139.6, 142, 142.8, 150.3, 144.7, and 143.8, with a mean of 144. Estimated planetary A indices were 10, 8, 9, 14, 10, 11, and 8, with a mean of 10.